My friend is a HUGE Elvis Presley fan. His son's middle name is even Elvis, and recently our kids had a sleepover, and I decided to pick an Elvis movie for the festivities to his delight. I picked my favorite Elvis Presley movie, Viva Las Vegas. 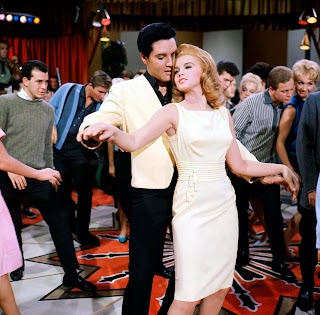 Viva Las Vegas is a 1964 American musical film starring Elvis Presley and actress Ann-Margret. 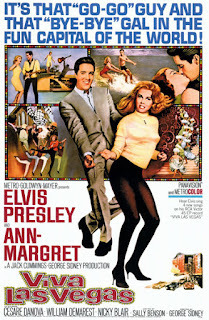 Directed by golden age Hollywood musical director George Sidney, the film is regarded by fans and by film critics as one of Presley's best movies, and it is noted for the on-screen chemistry between Presley and Ann-Margret. It also presents a strong set of ten musical song-and-dance scenes choreographed by David Winters and featured his dancers. 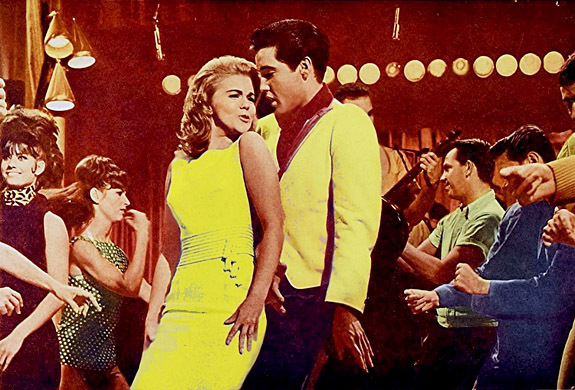 Viva Las Vegas was a hit at movie theaters, becoming the number 14 movie in the list of the Top 20 Movie Box Office hits of 1964.Based on the Box Office Report database. The movie was #14 on the Variety year end box office list of the top-grossing movies of 1964. The plot is simple enough. Lucky Jackson (Elvis) goes to Las Vegas, Nevada to participate in the city's first annual Grand Prix Race. However, his race car, an Elva Mk. VI, is in need of a new motor (engine) in order to compete in the event. Lucky raises the necessary money in Las Vegas, but he loses it when he is shoved into the pool by the hotel's nubile swimming instructor, Rusty Martin (Ann-Margret). Lucky then has to work as a waiter at the hotel to replace the lost money to pay his hotel bill, as well as enter the hotel's talent contest in hopes of winning a cash prize sizable enough to pay for his car's engine. During all this time, Lucky attempts to win the affections of Rusty. His main competition arrives in the form of Count Elmo Mancini (Cesare Danova), who attempts to win both the Grand Prix and the affections of Rusty. Rusty soon falls in love with Lucky, and immediately tries to change him into what she wants. In Great Britain, both the movie and its soundtrack were sold as Love In Las Vegas, since there was another, different movie called Viva Las Vegas that was being shown in British cinemas at the same time that Presley's was released. 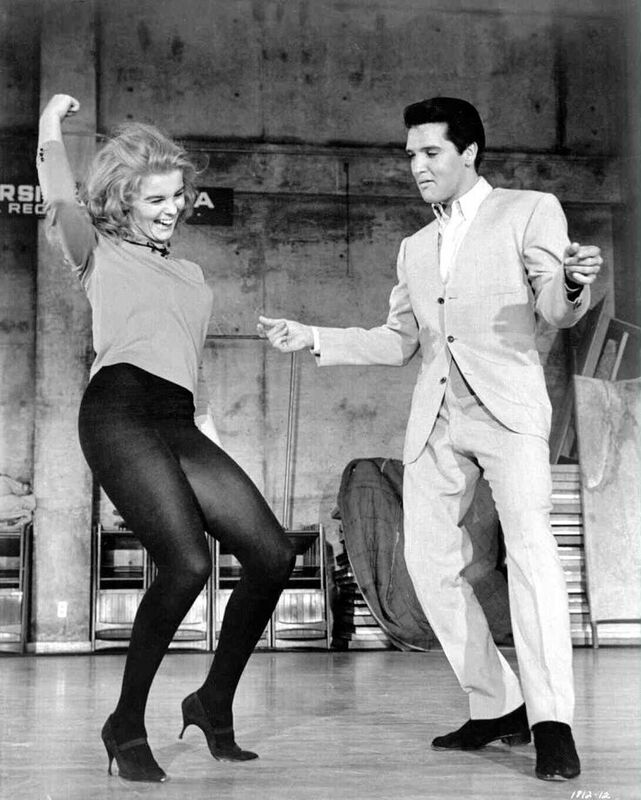 The chemistry between the two stars was quite real during the filming of Viva Las Vegas. 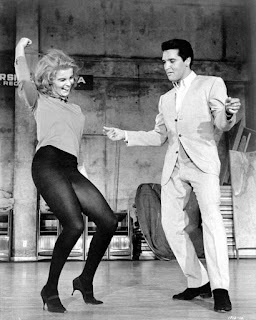 Presley and Ann-Margret began an affair, and this received considerable attention from movie and music gossip columnists. This reportedly led to a showdown with Presley's worried girlfriend Priscilla Beaulieu. (Elvis and Priscilla married in 1967.) In her 1985 book Elvis and Me, Priscilla Presley describes the difficulties that she experienced when the gossip columnists erroneously "announced" that Ann-Margret and Presley had become engaged to be married. 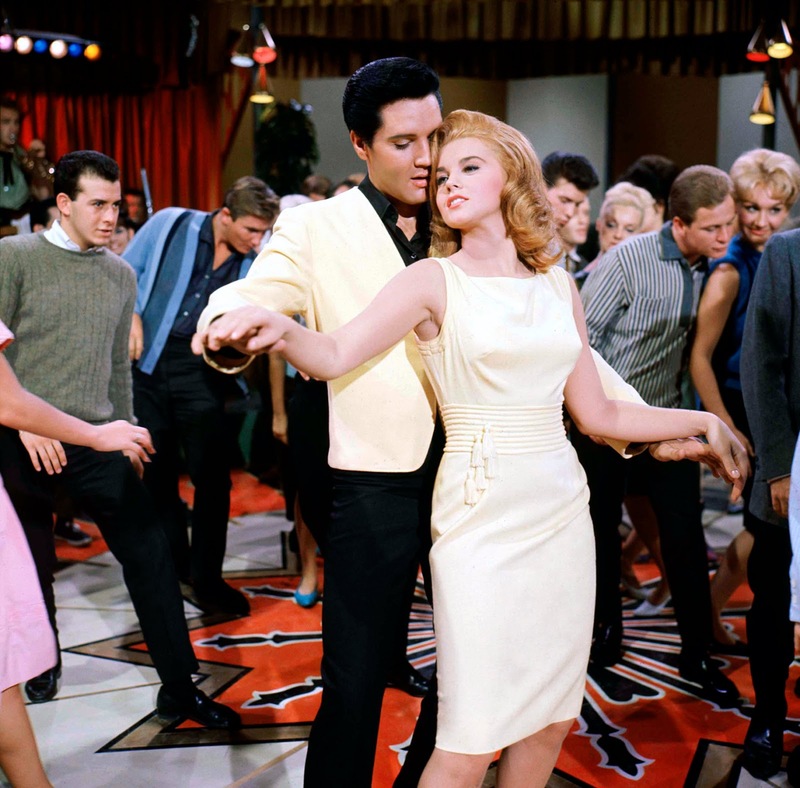 In her memoirs, Ann-Margret refers to Elvis Presley as her "soulmate" and stated: "We felt there was a need in 'The Industry' for a female Elvis Presley." In addition, the filming of Viva Las Vegas reportedly produced unusually heated exchanges between the director, film veteran George Sidney, and Presley's manager, Colonel Tom Parker, who was not credited as a "Technical Advisor" in the film's credits. The musicals in the early 1960s used to be so perfect. I wish Hollywood could still be able to produce musicals as it did in the old times.